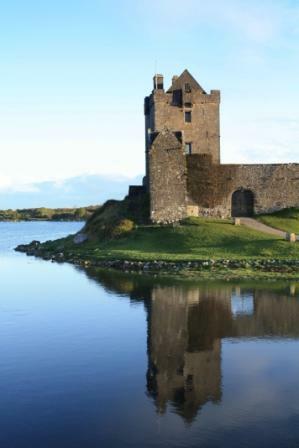 Dunguaire castle is one of the most visited and photographed castles in the West of Ireland, as it is conveniently located by the roadside, on the way into the picturesque, seaside village of Kinvara. It has had a curious and colourful history, having changed hands many times since it was first built in 1520, as told in the tale of Bothar na Mias. Once upon a time the High King of Connaught, Guaire was feasting with his merry men at the castle. When the hermit Saint Colman, who had been fasting for forty days above in the nearby mountains, called on God to provide him with sustenance. Miraculously, the food was seen to fly from the plates in the castle, up through the air and on to the saint's altar in Carron. The wonderful and talented hosts introduce each of the four courses, weaving in stories of local tradition and folklore that works seamlessly throughout the night. After the meal, a very entertaining mix of poetry, signing and storytelling is in enacted, the highlight being the awarding of a special souvenir Claddagh ring to someone in the audience. 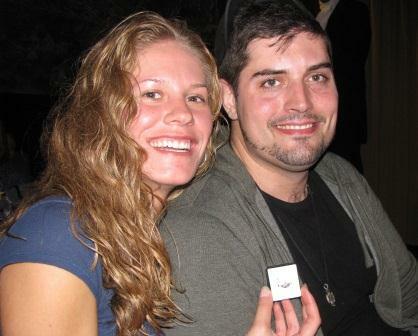 On the night I was there it was newly weds Melissa & Ryan from the USA who were overjoyed. 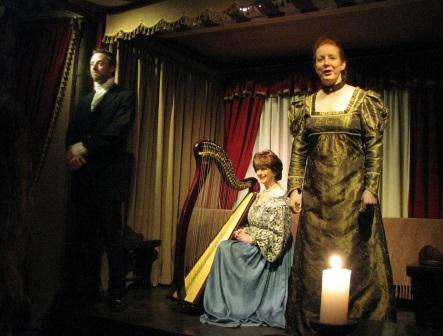 In fact they said the banquet at Dunguaire Castle was the highlight of their entire 2 week honeymoon trip to Ireland. 1 Siar Café first coffee shop on the left by the harbour, excellent locally roasted coffee with organic milk and home baked gluten free and vegan goodies. 2 Greene's Pub one of the original and most colourful in Kinvara with an authentic Irish pub interior that serves a good pint of Guinness. Please note it doesn't open until 5pm. 3 Secret Garden a nice little craft shop opposite both of the above, handmade, local crafts that are quite unusual, see their unique collection of felted fairies with bottles of magic gold dust. 4 El Molo Italian style, light bites and coffee in an old stone grain store overlooking the harbour. 5 Pier Head Bar & Restaurant on the harbour, good place for sunday lunch or some pub grub with a view of the boats and Dunguaire castle. 6 Merriman Inn thatched hotel, reasonable bed and breakfast rates and a good place to the hurling, football or rugby on the big screen. 7 Farmers/Country Market is on every friday throughout the summer, lots of local producers and vendor and live music, great atmosphere and good place to mingle with the locals. 8 Tully's Pub another very traditional pub that's hopping at the weekends, separately dance floor and beer garden out the back. Interesting talks and events through the winter. 9 Crinniú na mBad (gathering of boats) is on in August and celebrates the tradition of bringing the turf over from Connemara to Clare for the winter. 10 Cuckoo Fleadh in May, celebrates the arrival of the Cuckoo, which heralds the arrival of Summer in Ireland with plenty of music and song.